Cyprus four day itinerary will help travelers explore more places if they are on a short visit to the region. Cyprus is a beautiful island country in the Mediterranean Sea. In order to explore it well within a set time frame, planning and sticking to an itinerary is essential. A four day trip to Cyprus can prove reasonably cost effective compared to travelling in any other city of mainland Europe. Keeping this in mind, Cyprus four day itinerary will act as a handy guide for travelers. The island country provides an excellent travel friendly atmosphere with enthralling historic remains, beautiful natural caves and luscious food. The uniqueness of Cyprus lies in the fact that over decades, it has absorbed all the cultural essence from the surrounding lands and yet stayed individualistic. Cyprus as a travel destination is easily accessible from many parts of Europe and Asia. The country became a member of the European Union since 2004 (with some parts still controlled by the Turkish government). Through the times, the country has faced severe political tensions. However, it has stood the test of time. Now this almost invisible dot on the world map has become an attractive tourist destination. As a result, while travelling Cyprus, you can sense a fusion of different tastes, be it food, lifestyle or even culture. In my current travel blog, I will share my Cyprus four day itinerary with you. I hope that it assists you immensely when you head out to the region. The 4 days I spent in Cyprus have left an everlasting impression on me. Is Schengen Visa valid for traveling to Cyprus ? Planning a trip to Cyprus will be easy if you have a pre-planned itinerary. 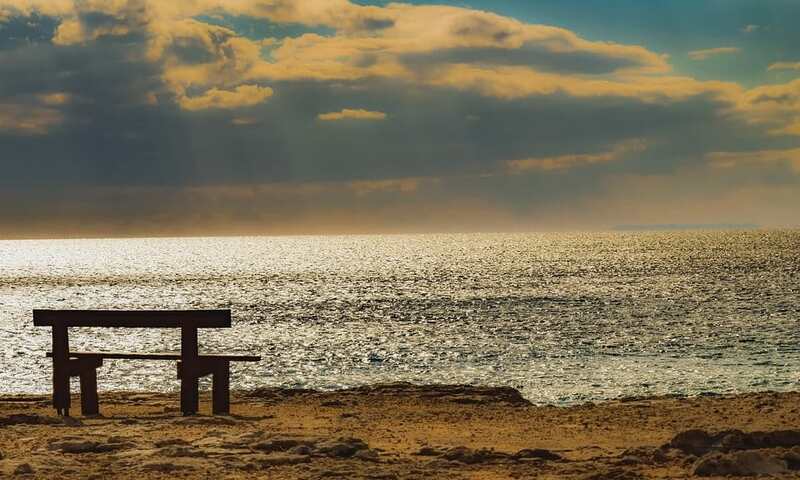 A Cyprus 4 day itinerary will ensure that you are able to make the most of your days while you’re in this beautiful country. Since I traveled to Southern Cyprus, I followed the itinerary that covers locales in that region. The aim was to explore maximum places within a minimum time frame. Here is the Cyprus four day itinerary that I recommend for first time travelers. Land at the Larnaca International Airport and head straight to your hotel. Check in and start exploring the city. Head to wonderful places within the boundaries of the city like the Church of Saint Lazarus, the Medieval Fort, the Hala Sultan Tekke Mosque and the Marina. Take a food tour and indulge in delectable experiences. Most customized food tours take place on Monday and Friday evenings. Start early from Larnaca to Nicosia. Its a one hour drive. Pay a visit to some lovely museums. 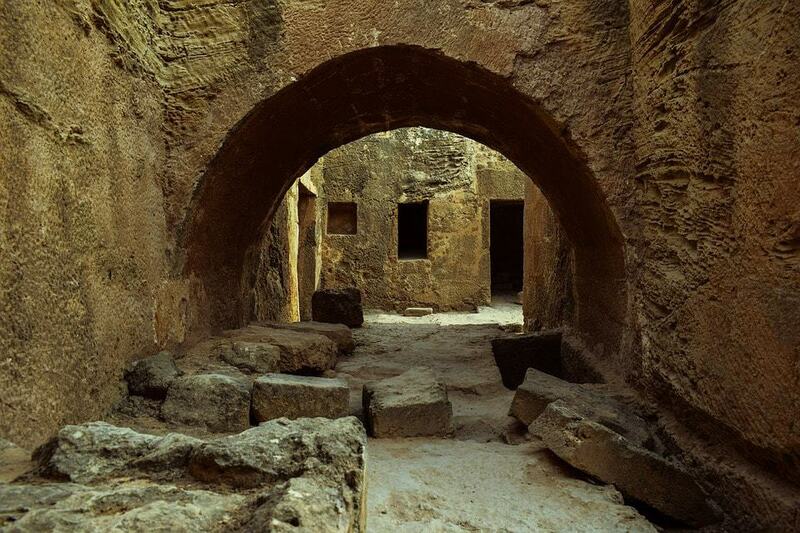 Make sure to visit the Old aqueduct and the Famagusta Gate. These places will be loved by history buffs. From Larnaca, head to Paphos by bus via Limassol. Visit the Paphos Park. It is a UNESCO World Heritage site now. 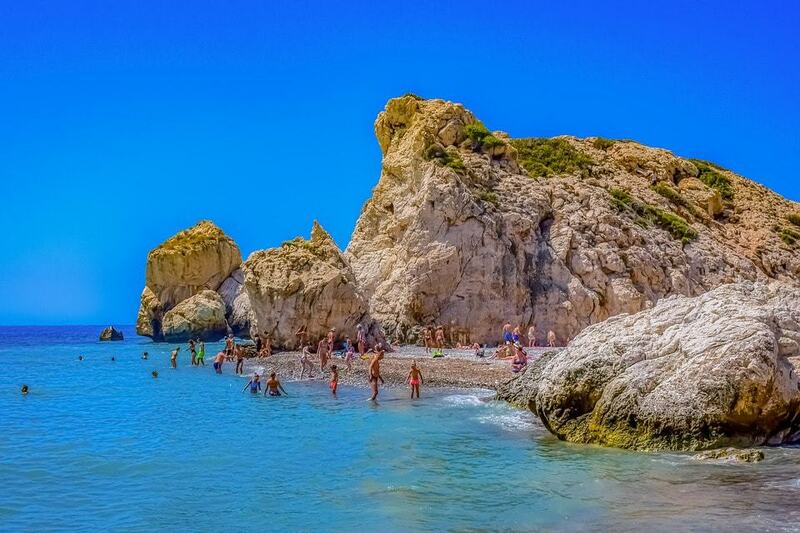 On your return towards Larnaca, do stop by the Aphrodite’s Rock. Its gorgeous. Request your hotel staff to keep your luggage (in case you’re staying in Larnaca and is your flight is from there). Check out and head to Cape Greco. Take a half day cruise ride. Let me now provide you with daily details of my travel experience to various locations. Go through them and see if you find them useful. I am sharing my day wise Cyprus itinerary with you below. I will be mentioning the places visited daily, expenses incurred and my overall experience. If you’re traveling to Cyprus for the first time, Larnaca can be a good base city for your tour. There is a major airport in Larnaca. Also the choice of accommodation is huge here. Not to forget the nominal prices. An ideal blend of work and relaxation, Larnaca itself has enough to make you aware of the Cyprus way of life. Generally, check-in and check-outs in apartments or hostels have a certain time range. So, try to plan your arrival in such a way that you reach Larnaca in the afternoon (or close to the check-in time). This way you can make the most of your stay. The best way for first time travelers to reach their hotel or place of stay is to take a direct local cab from the airport to your accommodation. This will cost you about 15 €. The attractions in Larnaca include an impressive cathedral – the Church of Saint Lazarus, a medieval fort and the fascinating Hala Sultan Tekke Mosque. The city also has a flourishing Marina. Therefore it attracts more travelers and workers. The beautiful sea side lifestyle will automatically induce a mix of body and mind relaxation. Also, it is well connected with the other cities by public transport. Your trip can ideally begin by getting a feel of Larnaca after you reach the city. It would be a good idea to go out to explore the local restaurants and enjoy the cool breeze of the Mediterranean sea. A visit to the cathedral might be pleasant. You can walk down the beach to Larnaca Marina which is the port area. A number of big and small boats can be seen commuting up and down. It is worthwhile to enjoy the sunset here. 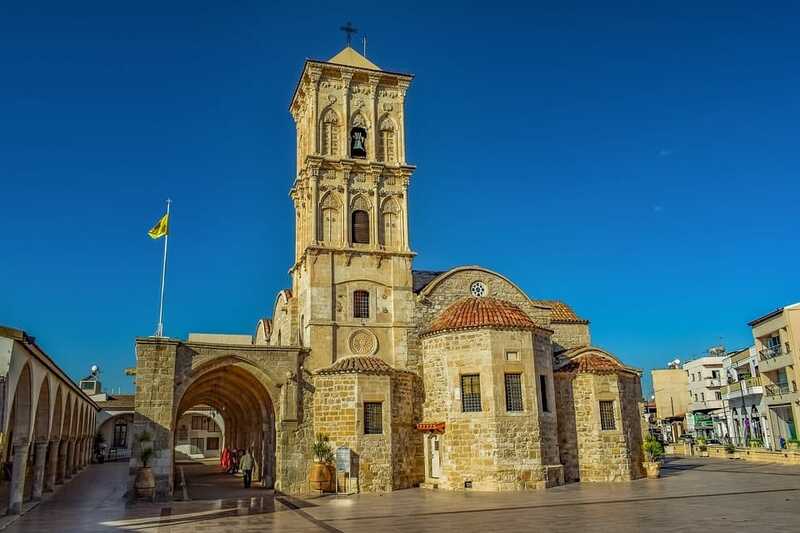 The Church of Saint Lazarus is a beautiful place to visit for any first time traveler in Larnaca. There is a sacred vibe here and is very beautiful on the inside as well as the outside. A lot can be explored here within 20 to 25 minutes. Located around 3 kms west of Larnaka, on the main Salt Lake is the Hala Sultan Tekke Mosque. 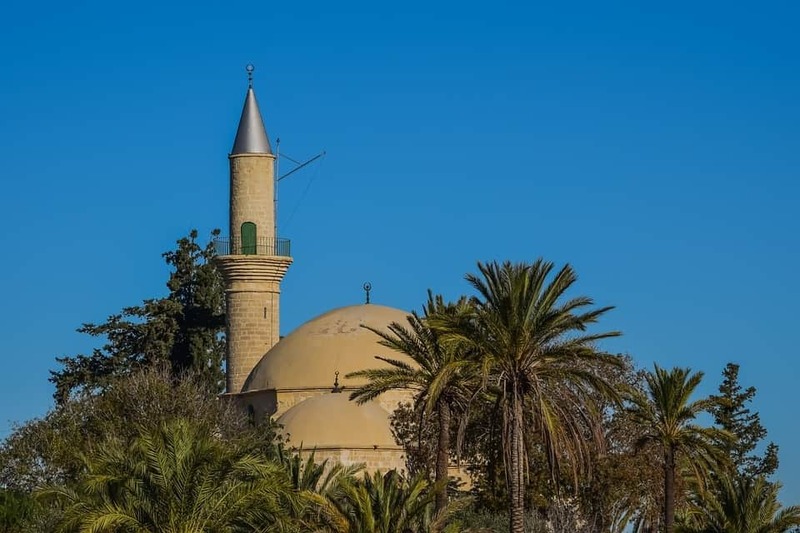 It is the primary pilgrimage site of Cyprus, and stands as one of the most important holy places of worship for Muslims, ranked immediately after Mecca, Medina in Saudi Arabia and Al Aksha in Jerusalem. While in Larnaca, make sure to take a food tour comprising different cuisines. 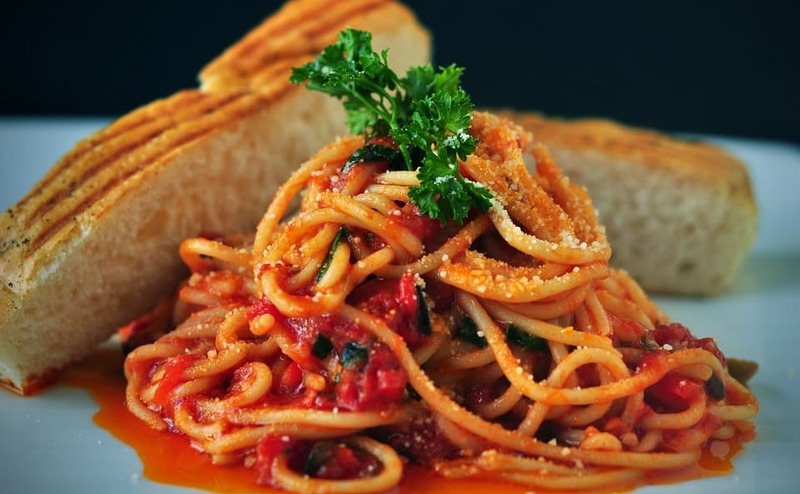 This is a picture of the very famous Italian Spaghetti. While at Larnaca,you should surely explore the versatility of dishes available. Food always make travel stories memorable. The Larnaca sea beach is an amazing food stop where you can get a rich variety of Mediterranean and Arab dishes. The aroma of shawarma, the soft texture of a Lebanese bread filled with minced meat, the sight of a sea-food platter and the sweet sound of a fresh fish-fry might make you overlook your diet consciousness. You should also not not miss the innumerable number of beer pubs and ice-cream corners for quick refreshments. Keep in mind your preferences and indulge yourself in the wonderful multi ethnic environment. Food is a big deal in the city of Larnaca. As a traveler, you should be trying out the native cuisine. Well I did a lot of food tours on my trip and enjoyed them thoroughly. I did my research on the eateries in town and am sharing the tentative cost of food in different kind of Larnaca’s eateries below. I hope the cost sharing above helps you decide which place you want to dig in as a traveler. Now that I’ve shared the average cost of meals in Larnaca’s eateries, it is time for me to spell out the best restaurants in town. It needs to be mentioned here that these eating places were preferred by me on my trip. Therefore, I am recommending them to you as well. Along with the eating places, I am also sharing the specialty of each. As a backpacker I try my best to plan my budget well in advance. On day 1 of my Cyprus four day trip, I didn’t spend much (thankfully). The little that I spent is being shared below. The money spent by me on day one of my overall Cyprus four day itinerary is as follows. The first evening of your trip is a good time to check whether your Cyprus four day itinerary is being implemented well or not. The average fare to Nicosia is around 4 to 6 €. Nicosia is the capital city of Cyprus. 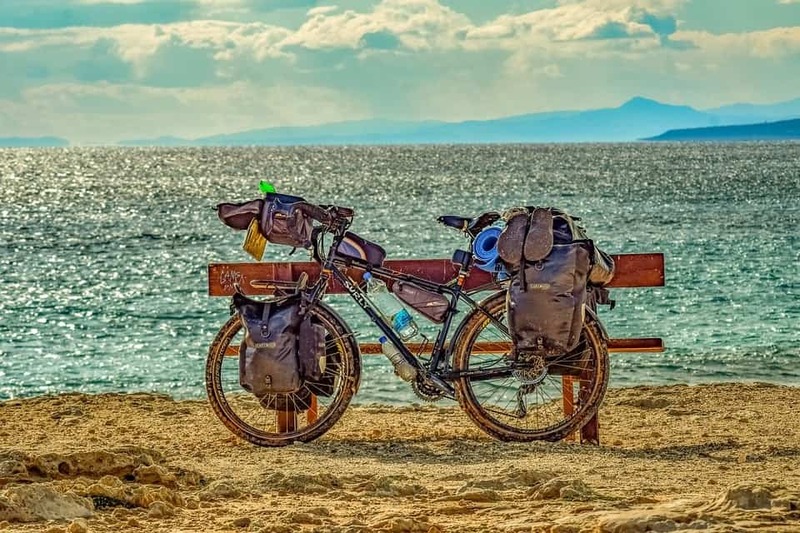 It is at a distance of 56 kms and takes around an hour to reach from Larnaca. The buses are generally well timed and also very comfortable. There is no reason to book a cab for local transport as it would be quite costly (45-50 € for the whole taxi from Larnaca to Nicosia). Like many other unsolved political problems, modern Cyprus still comprises of two territories separated by UN Green line. Now, Nicosia happens to be the only capital city in the world which is divided into two territories – the Northern Nicosia is the capital of Northern Cyprus (a state recognized by Turkey only and under Turkish military rule) and the southern being the capital of the Republic of Cyprus. Before you travel to Nicosia, it is worthwhile to read a bit about the history of Cyprus. Knowing the history often connects one to the ambiance of this place. Ledra Street in Nicosia is very special owing to its connectivity to both the territories. It acts as a single line of flow between completely diverse cultures. The street, in general, is quite a happening area. It comprises big and small merchandise shops and restaurants. While you start walking the street from the Greek side (capital of Cyprus), the scenario looks more European. Well paved alley which is sometimes covered by beautiful decorative pieces of cloth gives the place an ethnic look. Excellent Greek food is available here along with other food options. To Anamma is a good and casual restaurant to savour a meal. This place is also good for buying post cards, local souvenirs and small hampers. In general, there is no political tension in Nicosia. However, you need to go through a barricade with an armed force to cross over to the Turkish side. Remember, your passports will be checked here (and also while coming back). As you come towards the Turkish side, you will note a severe change in the lifestyle and culture of people. It is more like an old city wrapped with a modern gaze. The culture here looks more Arab with most restaurants serving falafel and kebabs. A small break at a local café will give you some time to absorb the cultural variation. Buyuk Han is an important place which is a nice shopping area in an old Islamic styled building. Selimiya Camii is a nearby mosque which had been built over a Roman Cathedral Church during the Ottoman Empire. The Turkish side of the town also has several market areas selling different items. It is a good idea not to believe in the authenticity of products as many fake items are known to be sold here. If you are a traveler who enjoys exploring cultures, this transition will be appreciated by you. Two real entities co-existing together separated by an apparent border and yet connected by a single alley – That is how you can probably define it. The feeling here is beyond words. If you are interested in exploring museums, you can visit a few good ones at Nicosia. Cyprus Museum is one such place. It consists of the local archaeological findings. Then there is the Levantis Museum. It is the only museum depicting the historical and social evolution of the city. Levantis art gallery on the other hand is a place for art lovers. Do check the holidays, entry time and price for the tickets for the museums before visiting. They might change sometimes due to some unforeseen reasons. 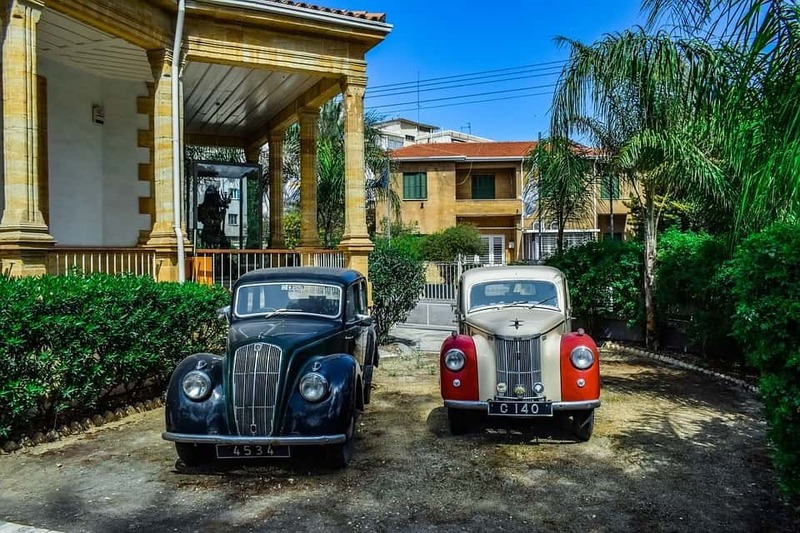 Vintage cars parked in a street in Nicosia. 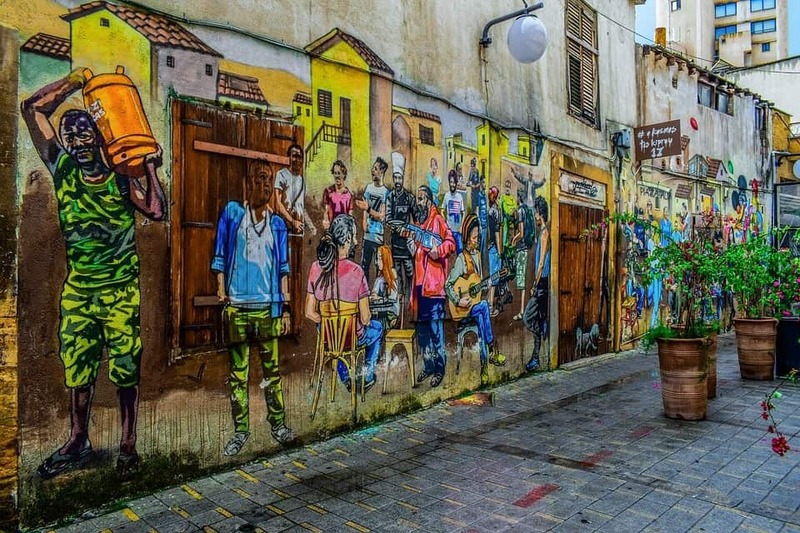 This capital city has art and creativity all over its streets. While here, take a stroll along its lanes and streets. Paintings made on the walls in one of Nicosia’s streets. Nicosia is the capital of Cyprus. However, the northern half of Nicosia is the self-proclaimed capital of the Turkish Republic of Northern Cyprus. 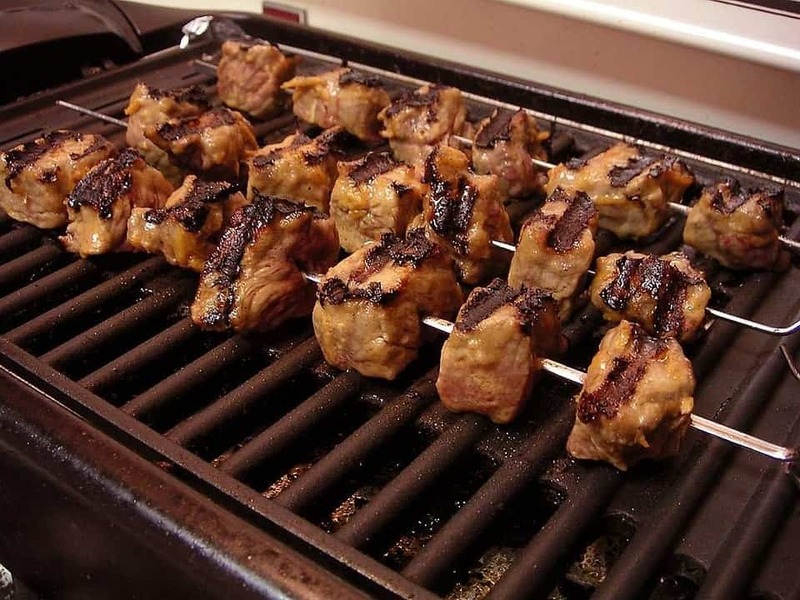 While crossing towards the Turkish side in Nicosia, make sure to try some locally prepared Kebabs. They are delicious and full of varied flavours. Here is some basic travel information that you should be aware of before heading to any of Nicosia’s Museums. Remains open on all days except Mondays. There is no entry fee here. Nicosia is a place full of history. Don’t get me wrong. It isn’t boring. The history of this place is intriguing. If you are a history buff, do visit the Nicosia old aqueduct and the Famagusta Gate. They are both historic remains from the past. The aqueduct was built in the Ottoman period. It was used to fetch water from the northern mountains. The Famagusta Gate was built much before by the Venetians. At that time it was the main gateway of the city. The ancient remains of Nicosia give the city an altogether different view. You will gradually feel that having traversed through many crests and troughs of different periods, modern Nicosia now stands tall as a blend of history, culture and modernity. The money spent by me on day two of my overall Cyprus four day itinerary is as follows. Now moving on to Paphos – one of the most sought after travel destinations in Cyprus. From Larnaca, Paphos can be reached by bus via Limassol. The bus journey is comfortable (around 1.5 hr). One way cost will be around 7 €. You need to check beforehand the bus timings in order to avoid delay. Visiting Paphos is a major activity that should surely be a part of your Cyprus four day itinerary. In fact it is a good place to spend a weekend in Cyprus. Be prepared to travel backwards in time and discover the superb architecture and planning of the pre-historic times while you visit the Paphos Archaeological Park (UNESCO heritage site). The park opening timing vary in summers and winters. The park fee is 4.5 € for an adult. Guided tours are available by private companies but with a guide map, one can do it by self-trekking as well. Paphos is known for historic remains from the ancient period. The most important excavations are four large Roman Villas, the mosaic floors of which are beautifully preserved. The majority of the ruins date back to the late Roman period. Highlights include the hospital and temple dedicated to the God of Medicine. There is also a Byzantine Castle with 40 columns and an Amphitheater. The remains are wonderfully preserved and the visuals will take you back to the ancient time. If you are interested in mythology, you can also visit the Aphrodite’s Rock. It is another beautiful location by the Mediterranean with a giant rock, forming a hillock by the sea. It is believed to be the site of the birth of the Greek Goddess Aphrodite, known for love and beauty. The site became an important place for the worship of the Goddess in the ancient world. The combination of the beauty of the place and its essence in mythology attracts a good number of travelers here. While in Paphos, invest a good amount of time at the Paphos Archaeological Park. It has now been recognized as a UNESCO World Heritage Site. Aphrodite’s Rock is also known as Petra tou Romiou. As per mythology, Aphrodite – the Greek Goddess of beauty and love rose from the waters here a few thousand years ago and chose to start her worldly life from this large rock. Many eateries in Paphos serve delectable Calamari. If you’re a sea food lover, you should surely go for it. 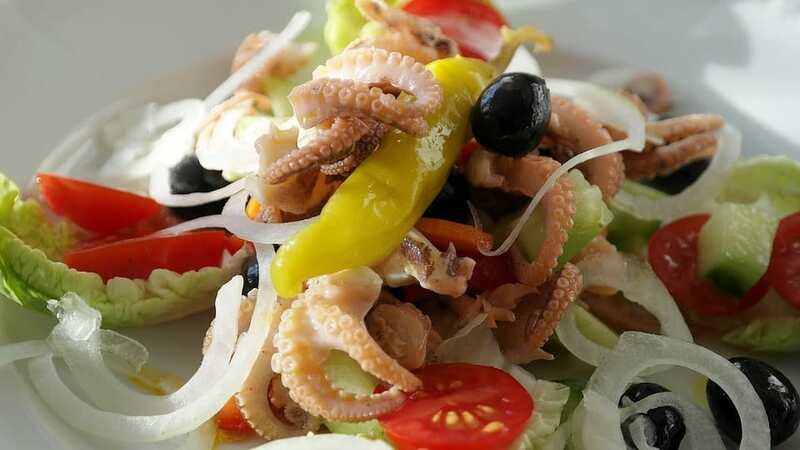 Calamari basically refers to dishes prepared from Mollusks especially squids and Octopuses. Paphos is a good place to taste delicious food. Along the main road near the archaeological park, there are a number of restaurants serving local food and specialty cuisines. Enjoy the atmosphere with a good relaxing meal in the cool breeze of the Mediterranean while reliving the history of the place. The money spent by me on day three of my overall Cyprus four day itinerary is as follows. As my trip drew to its closing end, my heart sank. But I guess all good things must come to an end. It is only then that we realize their importance. Cyprus four day itinerary is incomplete without spending some quality time in the blue waters of the Mediterranean. Therefore, a half day trip to the south east covering Cape Greco is highly recommended. It is a must to take your swimming gear if you want to enjoy swimming or snorkeling in the blue waters of the Mediterranean sea. In the first phase of the trip, you will see the Larnaca skyline from a distance. As you get over the local traffic of the port, you may come across a few fishing boats. You might see scuba divers in black attire going to nearby diving spots. As you get across a bit far, it is just blue water all round with the Cyprus city-scape diminished to a line. There might be a live-commentary for your convenience on your pre-booked tour. You can get involved in a conversation with a fellow traveler or be by yourself on the deck chair, enjoying the Mediterranean Sun. The cruises have excellent food and drink facilities. Along with the fascinating view of the surroundings, you will be able to taste wonderful barbecued items for starters along with alcoholic and non-alcoholic drinks. Sometimes local drinks can also be served. The lunch consists of multi cuisine items designed for the comfort of people from different places. It should also have vegetarian items. However, it is generally a buffet meal. As you head south east of the island, the boat will come close to the shore, and gradually you will see there is a drastic change in the geological features. 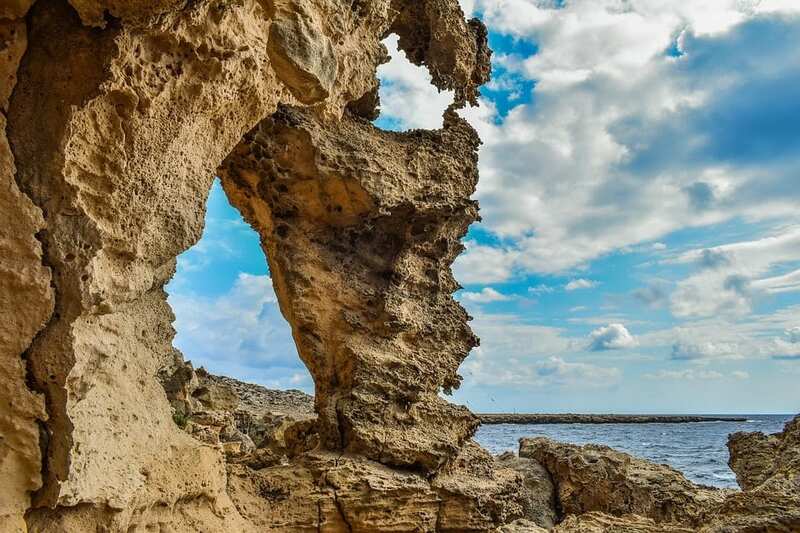 You will come across Cape Greco which are series of natural caves formed by erosion. The blue water will add to the magnificence of the natural structures. There will be stops where the guests can slide down and relax in cold blue water. Enjoy this to the fullest. After you have enjoyed the trip, you will be taken to the shore where a bus will take you back to Larnaca. Cape Greco is actually a National Park and you can also visit it via road. The best budget tip to make the plan cost-effective is to spend half of the fourth day of the cruise. Before you go for the trip in the third day morning, pack your luggage, hand it over to the apartment owner and vacate the room. The people in Larnaca are quite friendly and they will be ready to keep your luggage at their place, which you might collect before your departing flight. You can then be flexible as how you will spend the time. After the cruise, you can just relax by the sea side. There are plenty of sliding couches by the sea where you can sit and watch the mild waves of the Mediterranean. Also, you will not miss the number of flights landing and taking off every quarter of an hour. Alternatively, you can hop into some salad bar or just enjoy a cone of ice cream or fresh berry juice. Feel the laid-back attitude of the city until it is time for your flight. 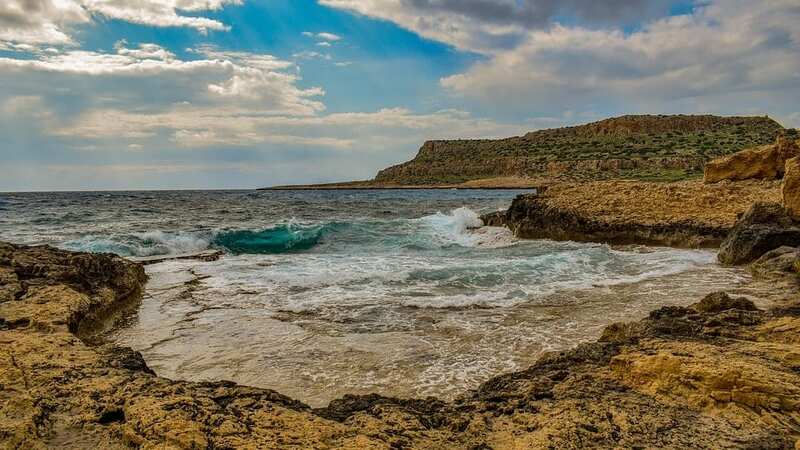 Cape Greco, also known as Capo Greco or Cavo Greko is actually a national park. This place is magnificent comprising of lovely trails, spectacular views from the sea cliffs and excellent view of the Mediterranean Sea. 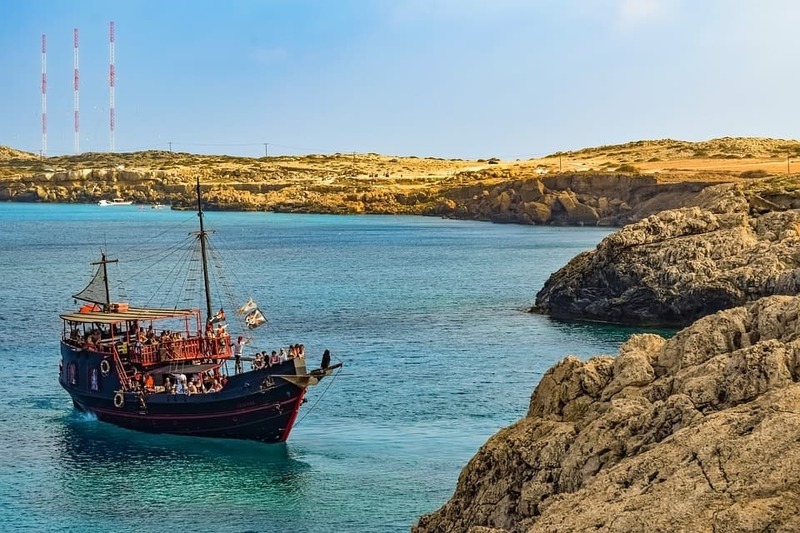 Take a boat cruise from Larnaca to Capo Grecko and enjoy one hell of a ride. Not to forget the gorgeous sea view. Once your day draws to a close and you’re done enjoying the boat cruise, sip in some fresh berry juice. You can even savour a light salad or a carb-loaded ice cream cone. The money spent by me on day four of my overall Cyprus four day itinerary is as follows. Now that you are familiar with my Cyprus four day itinerary, it is essential that you be aware of the travel basics to a nation like Cyprus. Knowing the basics about this region will prove immensely useful. Connecting with the essence of the region is important while exploring it. Cyprus is an island country that belongs to Europe. Geographically, it is closer to Asia but is a legit part if Europe. English isn’t one of the official languages of Cyprus but is widely spoken. Spring is the best time to visit Cyprus. Cyprus is an extremely safe country. This includes solo travelers as well. Food options are versatile ranging from Mediterranean to Arab cuisine, from Italian to Greek cuisine. For vegetarians, the options are slightly limited. Use public transport when traveling internally in Cyprus. It’s punctual and efficient. Travel to Cyprus in a small group (of 2-3). That way, apartments and even meals can be shared. If you want to travel well, learn to travel on a budget. 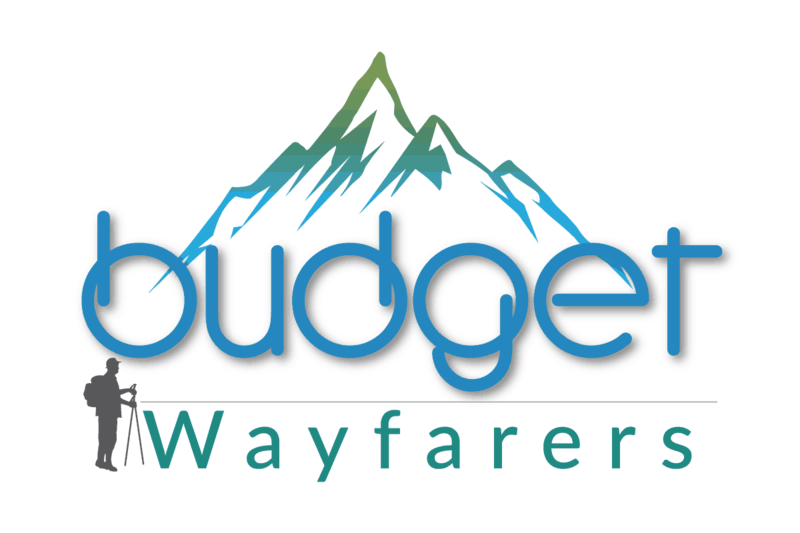 Budget travel doesn’t imply shoe string budget but a resourceful travel experience. How to Plan a Cost Effective Cyprus Four Day Itinerary? For making a cost effective Cyprus four day itinerary, you must plan the trip well in advance (~3 months). If you are travelling with a small or medium sized family, the best way is to select budget apartments and then finalize the one that suits your requirement. If you are a solo traveler or travelling with one friend you can search for hostels. It’s better to avoid starred hotels as they can be quite pricey. Spend that amount in local travelling and food. There are many budget accommodation options in Larnaca and Cyprus. Here’s a list of these options along with the range of the price per night. Cyprus is a beautiful destination to visit. It offers all its visitors spendlour, grace and joy. While booking hotels, make sure to stay near the best sightseeing spots. Else, you will end up missing out a lot. Cyprus is as much a fun place for solo travelers as it is for people traveling as families or as friends. If you’re a solo traveler, you are bound to return to Cyprus for exploring more and more. You will find the perfect quietude here. Traveling to Cyprus will prove to be the best decisions you’ve taken in a while. Visit this lovely country and return a refreshed individual. I loved every part of Cyprus and hope you feel the same. Citizens of countries from the European Union do not need a visa to travel to Cyprus. They can travel to Cyprus with their National Identity Card. Travelers from certain countries, other then the European Union also do not need a visa to visit Cyprus, for travel purposes. They need to have a passport valid up to at least three months from the date of return. The list of these countries that can be found here. Travelers from countries other than mentioned here will need a Visa for travelling to Cyprus. It can be obtained very easily from VFS global via application within 20-25 days. Remember, if you need to apply for the Visa, the officers might ask you the address of the accommodation and flight tickets at the interview. Also, it needs to be mentioned here that any traveler who is not a part of the European Union can enter Cyprus via flight from Larnaca or Paphos airport. A traveler, visiting Cyprus via sea can enter through the ports of Limassol, Larnaca, Paphos, and Latsis only. The best way to reach Cyprus is by taking the air route to Larnaca. Major airlines have Larnaca as a transit point. So it is not difficult to find a flight to Larnaca. Choosing a flight early also can make you save a good amount of money. Travelling via Moscow or Istanbul are some other options. In order to make it a budget-friendly trip, choose a flight that is reasonably cheap and also does not have too long a transit time. Also, I insist you buy travel insurance. It is advisable to convert your currency to Euro before entering the country. The airport often charges a lot of money as conversion rates. So better be prepared beforehand. Cyprus was never on my bucket list of travel. It seems so funny now. It happened to me by sheer coincidence. But I am so glad that it was destined. The beauty and versatility of the small island country had surprised me for good. Also, the overall pace of the region. Everything runs at a slower pace and that gives you a buffer period to enjoy each moment to the fullest. Travel is best when you get involved with the heart-beat of the place you go. Feel the rhythm of the lifestyle and experience the place from the eye of a traveled, rather than a tourist. The beauty of Cyprus, the mouth-watering food, the history of the place and the cultural variations will keep lingering in your mind. Although this current blog comprises a short Cyprus four day itinerary, you can plan a longer trip (I surely will) while visiting the northern region of the country. It has beautiful mountain ranges and valleys. Also, a range of interesting towns. 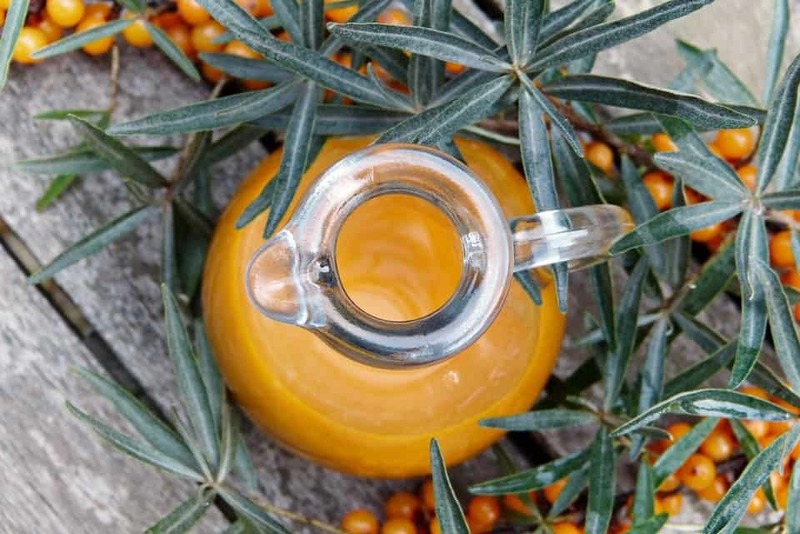 Do you think that you need a break from the monotony of day-to-day life to refresh yourself ? Do you wish you could spend a few days away from home relaxing by the blue water of the sea and savoring delicious Mediterranean food. If you are in that mood, plan a short 3 – 4 day trip to Cyprus and believe me, you won’t be disheartened. Sounak Dutta is a chemistry teacher by profession. But, for him, life is not just about academic books and notes. The world of travel and exploration inspires him. He prefers to discover places rather than just visit. He likes to carry his camera to capture the scenes, but every tale can’t be told by just pictures. Hence the interest in travel blogging. He finds it spontaneous to share his experiences through writing. Sounak loves to add his personal outlook so that each experience becomes a story. 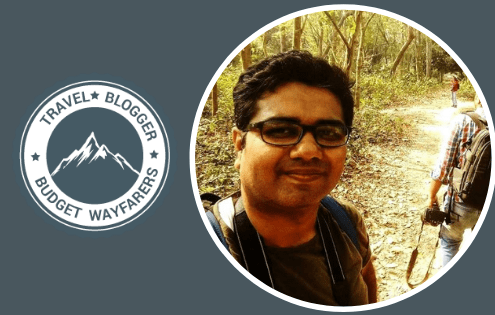 He truly believes that, “Travelling is not just a one time event, it is how you live life”. Hopefully his blogs will help you realize the essence of these words. THIS POST ENTITLED, “MAKING THE MOST OF YOUR CYPRUS 4 DAY TRIP- THE COMPLETE TRAVEL ITINERARY ” IS AN EXCLUSIVE PROPERTY OF BUDGET WAYFARERS. ANY INDIVIDUAL OR ASSOCIATION INDULGING IN PLAGIARISM WILL BE DEALT STRICTLY WITH. IF YOU WANT TO USE INFORMATION FROM THE ARTICLE ABOVE, KINDLY QUOTE THE SOURCE.